I want to buy silver in South Africa. Which product should I purchase? Our top selling International bullion coins. The American Silver Eagle, South African Silver Krugerrand, Canadian Silver Maple Leaf and Australian Silver Kangaroo. Before I endeavor to shed some light onto this question, it is important to emphasise that I am not qualified to give financial advice. This blog article is simply a humble presentation of my own thoughts, opinions, and practices in terms of my own personal physical silver bullion investment strategy. So, if you have made a decision to purchase physical silver bullion, congratulations! I suspect that this decision will, in hindsight, prove to be a wise and sensible choice in the long term. Likewise, well done for not rushing into making a purchase, but rather, seeking to research and make an informed decision. Thus, the answer to this question may depend on a number of factors. For example, do you wish to make once-off a ‘large’ purchase? Do you wish to make a large purchase initially, and then add to your position regularly? Perhaps you want to enter cautiously and simply make periodic purchases in order to take advantage of average costing over a long period of time? Whatever your strategy may be, my personal recommendation relates to the 60/40 principle of demand, recognisability, and diversification. This is not a mainstream economic principle per se, but my experience of the silver market over the past 5 years. 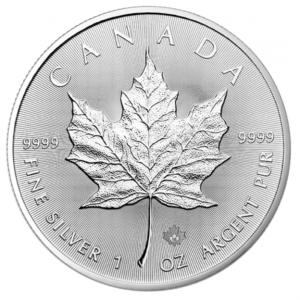 In short, a balanced silver bullion portfolio should contain 60% American Silver Eagle Coins, Canadian Silver Maple Coins, and South African Silver Krugerrands (not 2017, but the 2018 coins, if you have questions about the difference, read more here) and 40% other legal tender coins, bars, and rounds of various sizes minted by internationally recognised and trusted private mints. 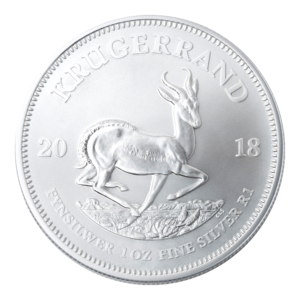 The 60%/40% ratio is not an objective percentage for all people in all places who purchase silver, but rather, my own subjective allotment based on five years of selling/trading in Johannesburg. That is, in a typical month or year of trade, at least 60% of my total volume is made up of American Eagles and Canadian Maples, while about 40% is made up of other legal tender coins, bars, and rounds of various weights. Thus, it makes sense that I would endorse this ration of ownership, for should you ever decide to offload your silver position back onto the market, you have a portfolio that best fits the demand dynamic of the secular market (as I experience it as a trader). Moreover, should you decide to offer to sell your silver back to us, again, you have a portfolio that best fits the demand dynamic of my clientele. A few thoughts on why I am such a strong advocate of the Eagle, the Maple, and the Silver Krugerrand. My business model concerning product range is not rooted finding and then subsequently pushing and marketing a particular silver bullion product. Rather, I import silver bullion products that are trusted and in high demand both nationally and internationally. 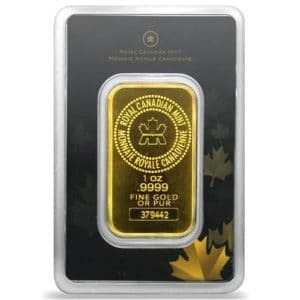 The Eagle and the Maple coins are by far the two most favoured bullion coins in the world. Nothing comes even close in terms of numbers sold. 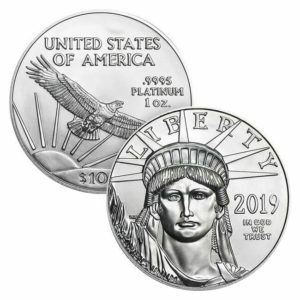 For example, the US Mint produced and sold over 45 million Silver Eagles in 2015, while the Royal Canadian Mint sold over 30 million Silver Maples. For this reason, therefore, I propose committing at least 60% of your silver bullion portfolio to these two silver coins. After all, it is simpler to find buyers for these two coins than other lesser favoured coin or other semi-numismatic type of bullion coins like the Australian Silver Kookaburra, or the Chinese Silver Panda. A qualification, if I may. I am in no way saying that you should abandon other types of bullion coins. Both the Kookaburra and the Panda have gained a rather healthy collectable premium on previous releases. I am simply suggesting that, firstly, the bulk of your portfolio contains the two products which are in the highest demand. But secondly, should you decide to re-sell your silver back to me, you have a ratio that is similar to my sales demand ratio. For example, should you offer to re-sell a monster box of 500 American Silver Eagles, I would almost certainly say yes (even if I ask you to give me a few days to deplete my stock before we go ahead with the trade). I sell numerous monster boxes each week, so the chances are, I will need to replete my stock weekly. But if you offer to sell back 500 Chinese Pandas, it is likely that I would only take 50 to 100 at most, since I sell about 100 Eagles and 100 Maples for each Panda. Hence, rather own bullion items that are in high demand, as this will make it more likely that I will buy back from you in the future. 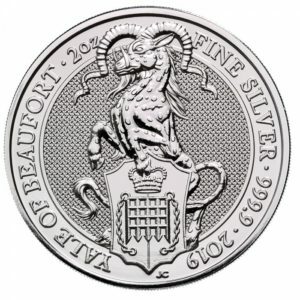 Finally, the 40% of your silver portfolio should consist of other popular and trusted bullion items like legal tender coins (e.g. Austrian Philharmonic, Australian Kangaroo, British Britannia, and so on), 1 oz American Buffalo Round, Sunshine Mint 1 oz and 10 oz silver bar, 10 oz Geiger Security Bars, and if you have a sufficiently large silver bullion portfolio, 100 oz bars from the Royal Canadian Mint or the Republic Metals Corporation. In conclusion, the above thoughts are by no means universally objective (other bullion dealer may provide dissimilar advice based on their own demand data). They are merely my own humble personal opinion formed over the past number of years of trading silver. However, I think that the 60/40 ratio is reasonable; (1) it represents a position that aligns with demand as I experience it through my business, (2) it contains trusted and recognised products, and (3) it is sufficiently diversified in terms of both products and weight to ensure full exposure to the silver market.